So diabetes has to do with blood sugar basically. 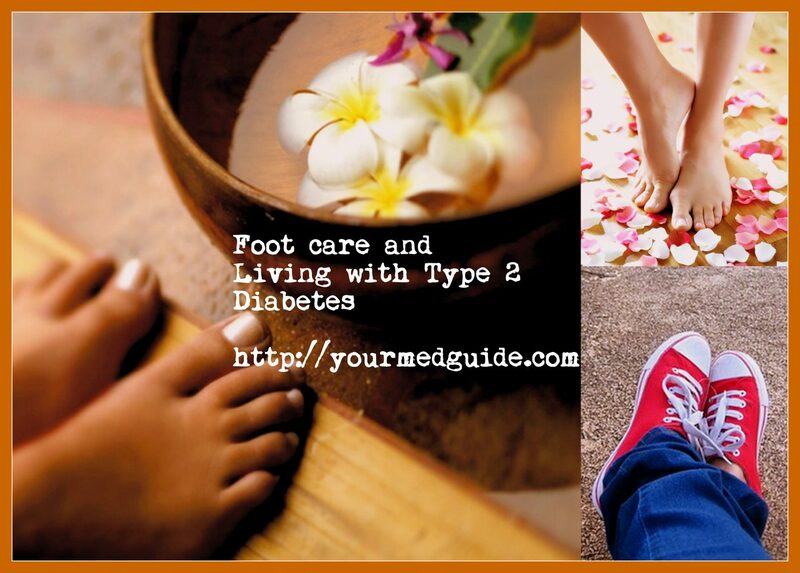 Why the focus on Foot care for diabetics? Diabetes damages the nerve and blood vessels and this can become a problem with feet. The lack of adequate blood flow causes a loss of feeling in the feet or hands making them numb and painful, or worse still, results in an infection with sores or injuries that those with diabetes cannot even feel. This can lead to serious infections that are difficult to treat and may turn into deep infections. Sometimes, amputation may be the only solution. The good news is – following the right diet and exercise along with your medication can relieve the symptoms. It is not tough to look after your feet when you know how. Begin by checking your feet every day for swelling, pain, nicks and cuts, any ingrown toenails or sores that have appeared recently. Keeping your blood sugar under control alone can help guard your feet. When I visited my doctor, she thoroughly examined my feet, toes and between my toes for signs of cracks. She checked to see if I had any numbness in my feet and ankles. Can you prevent this? Yes. You can take steps to avoid injury and keep your feet healthy! Do wash your feet daily with a gentle soap and water. Pat your feet dry afterwards and make sure the area between your toes are dry. Do not wash your feet in hot water as there is the risk of burns. Do keep your skin moisturized with petroleum jelly or moisturizing lotion, but do not use it between your toes. Before you wear your socks, dust some talcum powder so that your feet stay dry. Check with your doctor and ask if you can trim your own nails. Your toenails must be cut straight across to prevent ingrown toenails. File the corners of your toenails so they are not sharp. Be careful while trimming your nails. Use a nail trimmer, and not a knife. Don’t be tempted to rip out a long nail. Always wear shoes when you go out. Never walk barefoot or in your socks. Footwear is mandatory. Get shoes that fit well with enough room. If you are buying new shoes, do it at the end of the day when feet are at their largest. Alternate between two pairs. Do not wear tight shoes. Preferably get shoes made of material that can breathe. Examples are such as leather, canvas or suede with a cushioned sole to take the pressure. Go in for shoes that you can lace up for better support. Avoid sandals, high heeled footwear, flip-flops (hawai chappals) or shoes that don’t cover your feet fully. The moment your shoes start showing any signs of wear, replace them. This means uneven heels, torn inner linings and any other signs of damage. Before you wear your shoes empty them of any particles that may have gotten inside. Don’t wear damaged shoes. If you see anything unusual on your feet, and this includes cracks, calluses and corns, please see your doctor. Don’t get into self-medication. Do not use non-prescription medication and treatments available over the counter. It goes without saying that you should always wear clean dry socks. Avoid stretchy material like nylon and other synthetic textures. Cotton is best. Avoid socks with elastic bands at the top. If your feet tend to be cold, war socks to bed. Avoid using warmers, heating pads and hot water bottles as there’s the risk of getting burnt. Make sure that you keep your feet and toes active. Wiggle them from time to time so there’s enough blood flow. Avoid standing or sitting in the same position for a long time. Do not sit cross-legged as this can prevent blood flow to the feet. As much as possible be active. A minimum of 30 minutes a day, but more is better. Check with your doc to find out what is best for you. Don’t smoke. It can affect the blood flow to your feet. In short, make it a point to pamper your feet and keep them healthy. You’re touching on a very sensitive subject for me and Mma. We work very hard to care for her feet to make sure that there is no possibility of scratches or wounds. I’ve seen pictures of people who have wounds on their feet and it scares me. A little bit of prevention will ensure I will never have to deal with that. Damaria, I am terrified of those foot complications. I’ve seen people who suffer from peripheral neuropathy – and just can’t feel their legs and feet from the calf-down. I remember there was one gentleman at work, who would forget to wear his footwear because he just couldn’t feel them! Those foot wounds are something else. It is worth it to look after our feet just to avoid any problems. Bless you for looking after yourself and Mma! Hugs! Yes this so true in my case. I always have to take care of my feet ! I do now, thanks for giving me this useful information! I liked that you pointed out that it would be smart to wash your feet in warm water every day if you have diabetes. That is good for me to know that because my grandmother just got diagnosed with diabetes. So, it seems like she should talk to a foot doctor about other things she needs to do to care for her feet.